Summer is rapidly approaching its end, and winter is well on the way. Soon, it will be time to get your new or used snowmobile out of storage and enjoy riding it through the beautiful Alaskan frontier. Before the cold season kicks in, there are a few steps you should take to prepare your vehicle for winter, say the experts at McKinley Polaris® in Healy, AK. This simple but important step will ensure your vehicle looks fantastic while preventing dirt and debris from getting inside and ruining the components. Wipe off the exterior with a soft microfiber cloth and some water. If you really want it to shine, bring the snowmobile to a car wash. Don’t forget to wash off the upholstery as well. These important parts of the snowmobile are in good condition if they are on straight and do not have any holes or rips. Visually inspect the skis and replace any parts that appear to be worn down or are cracked. Check their alignment to ensure they are perfectly straight. Otherwise, you could get into an accident. Just because you didn’t use it all summer doesn’t mean it’s safe to run the snowmobile with the liquids it currently has. Both gas and oil can get dirty even when the vehicle is in storage, so these should be drained and fresh fluids added. Also, top off both the coolant and the brake fluid to ensure the levels are where they need to be. 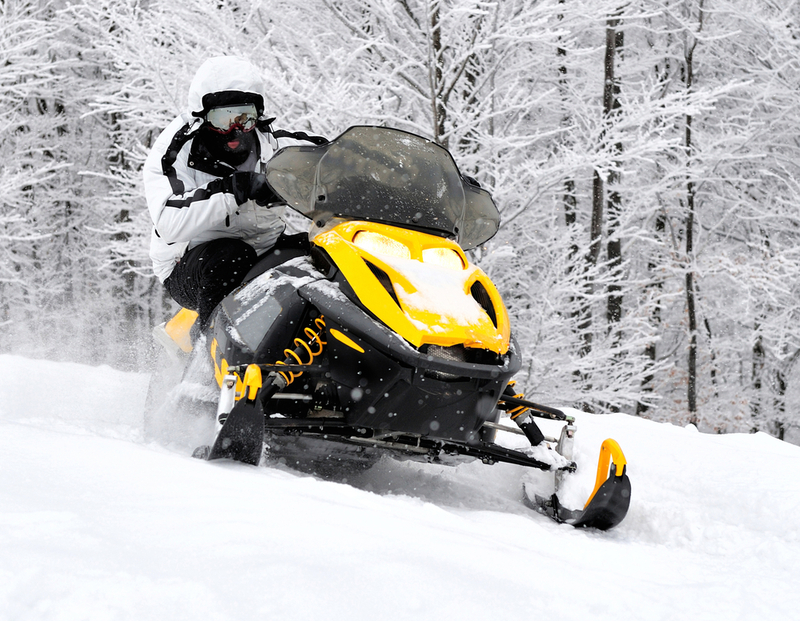 If your new or used snowmobile needs repairs so you can safely ride it this winter, head to McKinley Polaris. This full-service ATV dealer offers all the parts and expertise you need to have fun outdoors in Alaska all year long. Their attentive, knowledgeable staff will be happy to answer your questions and make sure you find the right products and services. To learn more, call (907) 683-7669, or visit them online to make a service appointment.